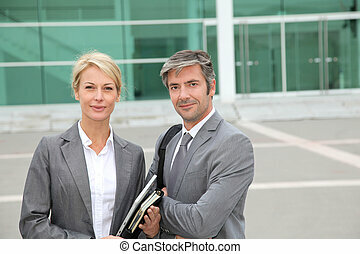 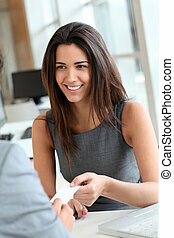 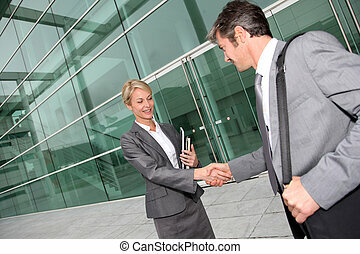 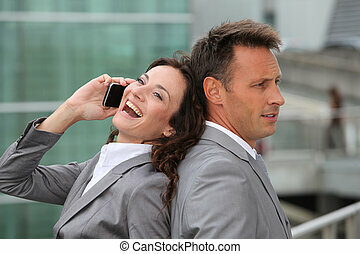 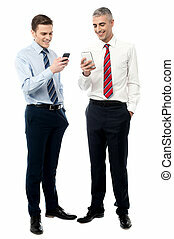 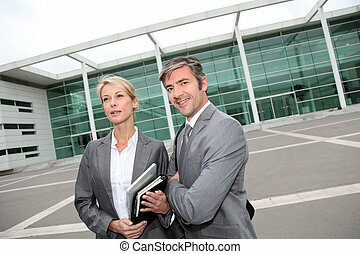 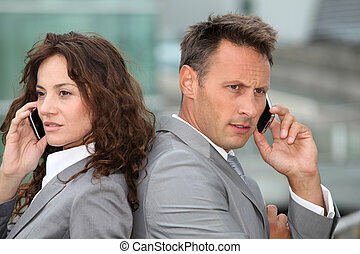 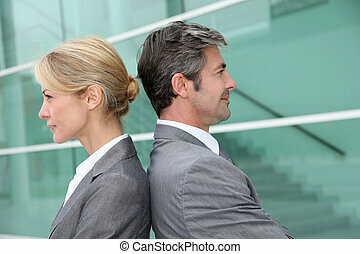 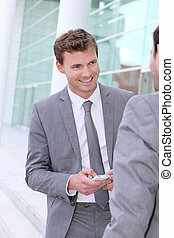 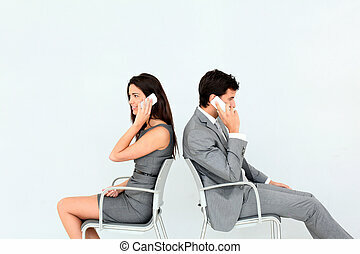 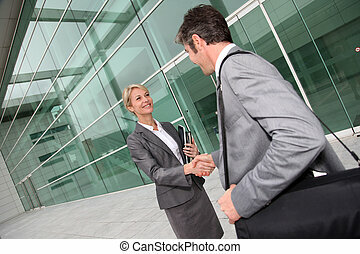 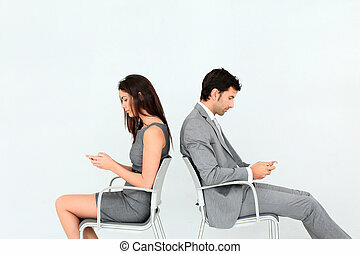 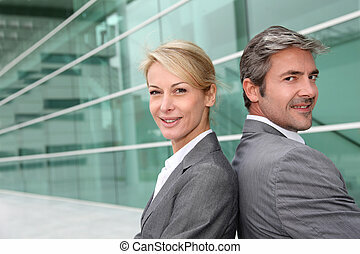 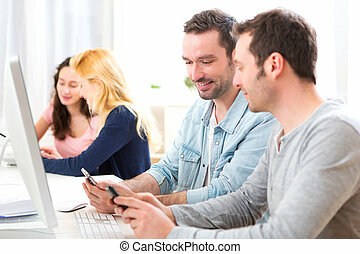 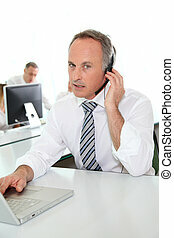 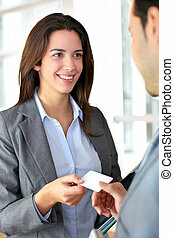 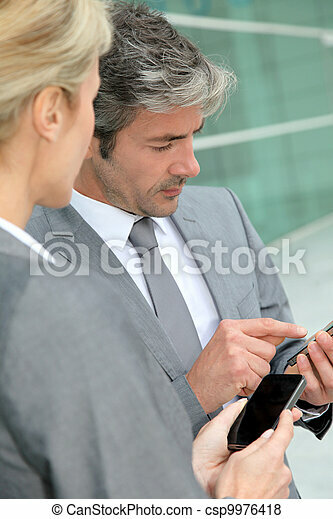 Business people exchanging phone numbers. 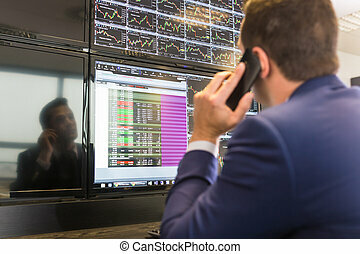 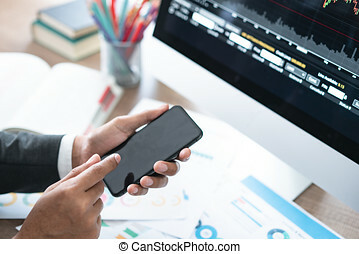 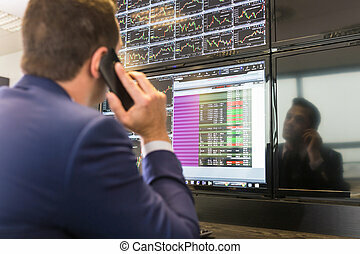 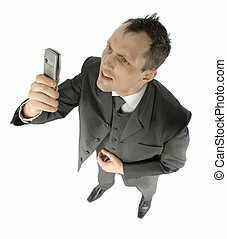 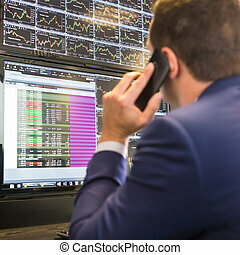 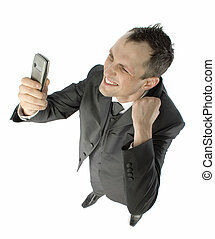 Businessman with cell phone trading stocks. 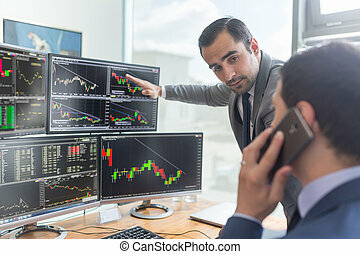 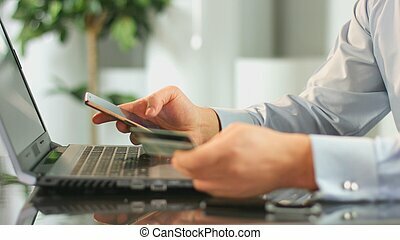 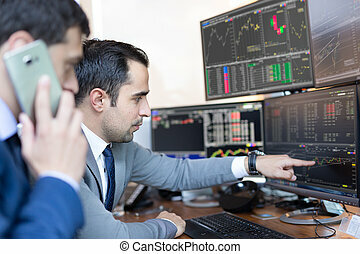 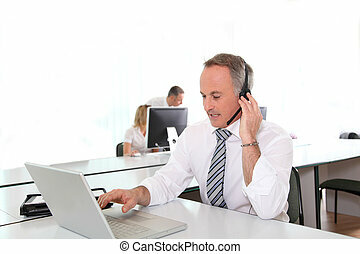 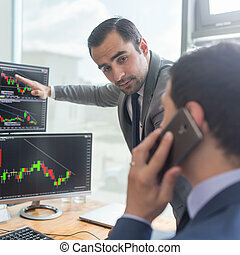 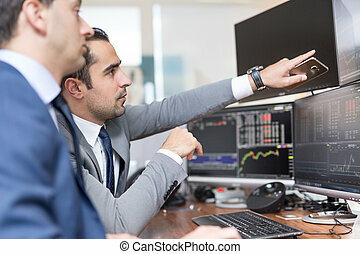 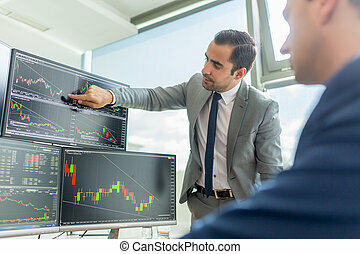 Stock analyst looking at graphs, indexes and numbers on multiple computer screens. 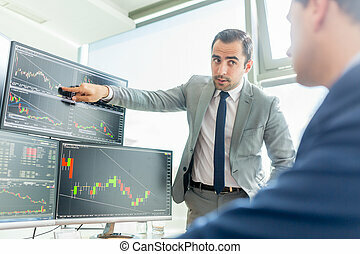 Stock trader evaluating economic data.